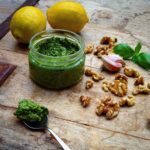 This chunky basil pesto is great because you can adjust it to whatever nuts or seeds you have on hand and throw in additional greens if you like! It also works beautifully as a pasta or rice sauce by thinning it out with water when processing. 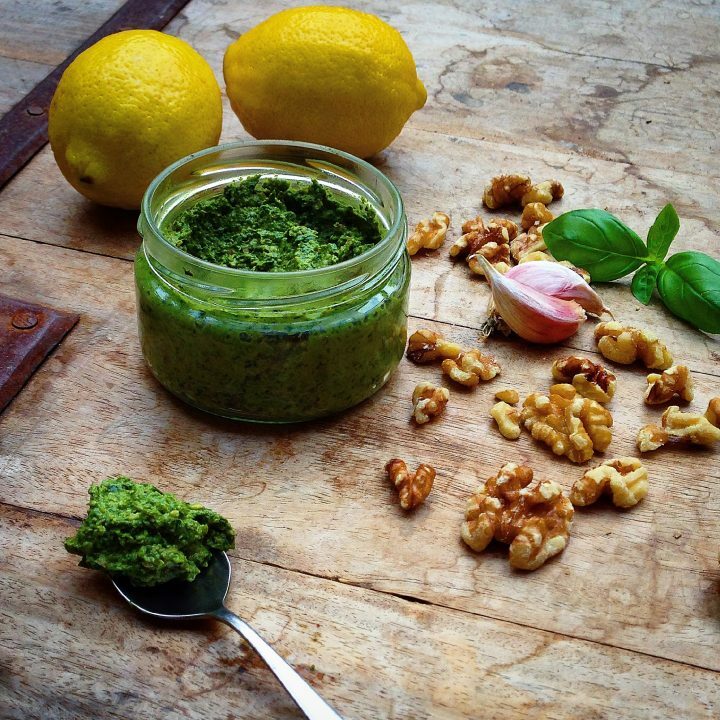 I like a tbsp in dressings too (with additional lemon juice/oil/vinegar/dijon) for a creamy pesto dressing. As a dip, it is great for morning tea or a mid afternoon snack with cut up veggies or seed crackers. Combine all ingredients in a food processor or high powered blender until desired consistency. This recipe makes it thicker so it can be a dip. If I am making it into a pasta sauce I like to add additional water or even 1-2 tbsp olive oil.